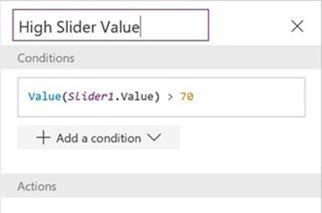 This update of PowerApps brings a number of enhancements to the Rules panel and Image control! Rule panel now allows renaming rules to provide descriptive names. This is a similar experience to how controls can be renamed in the property pane. Rule filtering has also been improved to show the rule when the selected control is used within the rule condition. 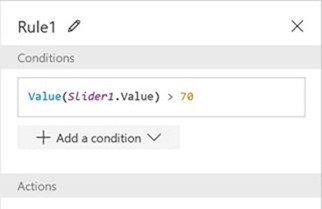 PowerApps Image control will now respect the EXIF image orientation. After adding the Image control to your canvas, go to the Advanced properties to see the “ApplyEXIFOrientation” property. This property is true by default for any new apps. 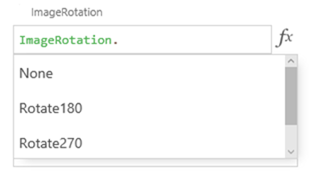 You can now set image rotation on your image – to None, Rotate90, Rotate180 or Rotate270. Finally, you will also be able to flip your images using the following properties – FlipHorizontal and FlipVertical. We are releasing a number of exciting new functionality and improvements in the coming weeks. So, do look out for those! And for any questions or comments, please do reach out to us via our Community.